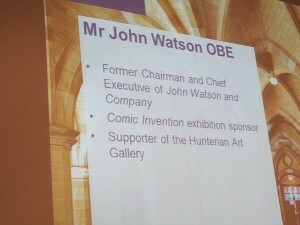 John has described the success of “Comic Invention” at the Hunterian Art Gallery in Glasgow as “outstanding”. 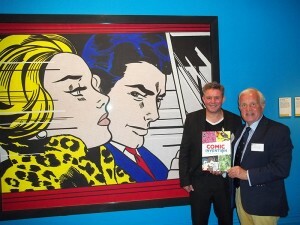 Crowds have flocked to get a fascinating glimpse into the world of comics in this Exhibition supported by The Watson Foundation. At a “Development & Alumni Private Viewing” of Comic Invention, John shared a platform with Professor Laurence Grove of the University of Glasgow and explained the involvement of John Watson and Company. Featuring works by Lichtenstein, Warhol, Picasso and Rembrandt, the show looks at how we tell stories with pictures exploring the cultural and historical background of graphic narrative. Comic Invention combines comics with art, manuscripts and objects, taking us from the world’s oldest comic to Scooby Doo and Batman and showcasing treasures from The Hunterian and beyond, from the ancient Egyptians to Hogarth and contemporary items. 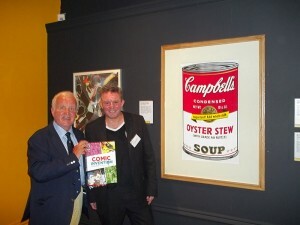 Comic Invention also establishes the Glasgow Looking Glass of 1825 – a very important but little known work, as the world’s oldest comic, confirming Scotland’s place as the birthplace of comics. It was produced by John Watson in his printroom in Glasgow. 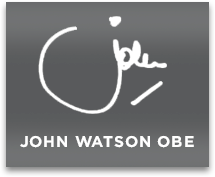 Previous post BOOST FOR MARIE CURIE IN GLASGOW ACCIES’ SPONSORSHIP DEAL Next post THE WATSON FOUNDATION IN TUNE WITH PIPES AND DRUMS!